Isn’t it great when you discover an amazing, totally your kind of game AND it also just looks so beautiful? Well, we sure think so. Sometimes you might spend half a game talking about its gorgeous art, clever graphic design and fun game components and almost (but just almost) forget about the actual gameplay. But still, beauty only goes so far – the game also has to be good, right? 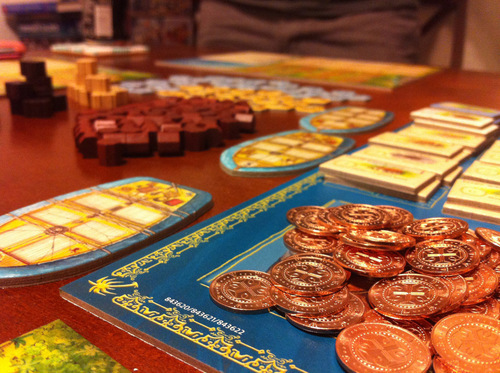 Here are some games that we find elegant both visually and mechanism-wise. This tenth anniversary edition of Andrea Seyfarth’s Puerto Rico has the same gameplay as the original one, but the components and artwork have been beautifully redesigned. The gold-ornamented box itself looks amazing, and the metal coins that replaced the cardboard ones have a much more tactile feel. Another great thing about this version is that all the building tiles are now illustrated. The illustrations are very detailed and enhance immersion. Well, this one just had to be on this list. 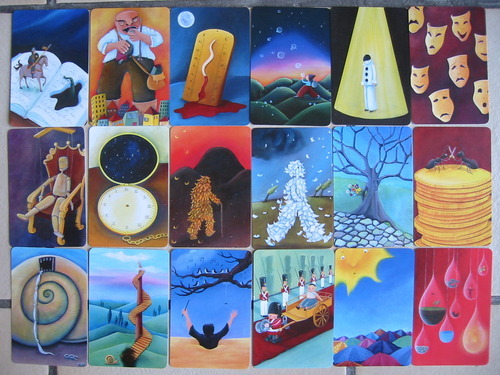 In Dixit the cards and illustrations are the key. It is unlikely that Dixit would have been so succesful without Marie Cardouat‘s imaginative, surreal and just downright captivating art. Every card has some twist in it, very often a play on colors and perspectives or just plain silliness! Also, the game is a lot of fun – simple to teach to beginners and it has a high replayability, especially with the expansions. Oh, and the player token bunnies, so cute! …and then we held hands. Did you know that she also illustrated one of our games? Well, she did, …and then we held hands by David Chircop and Yannick Massa. Her unique style can be clearly seen in this intelligent and beautiful cooperative game for two players. 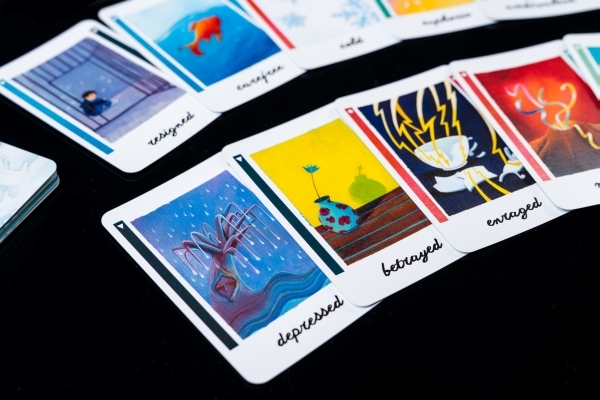 …and then we held hands is all about finding balance and completing objectives – but you have to do this without verbal communication, using nicely illustrated emotion cards. The experience is complemented by the minimalist game board and a set of 4 glass stones. 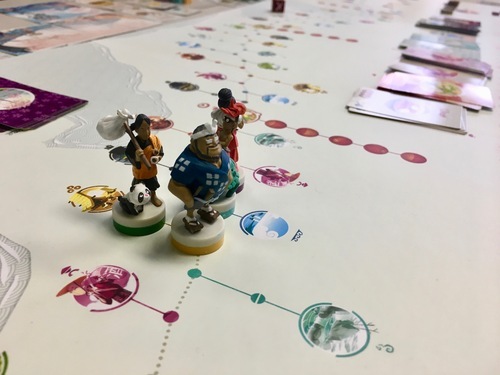 Tokaido Collectors Edition is simple and elegant, with a color scheme that pleases the eye. However, the best part about this edition is the design of the pilgrims making the journey. These imaginative and cute figurines (there’s even a panda there!) make the game play all the more fun. Which ones would you like to make the journey and admire the glorious vistas with? 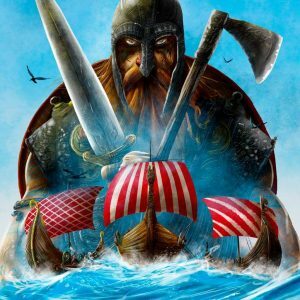 A game about the Viking age, Shipwrights of the North Sea is just one sample of The Mico’s work, a worthy representative of the complete body of work that he has produced. This includes the North Sea Trilogy by Garphill Games, the Valeria series by Daily Magic Games, the [Redacted] series by Ludicreations and much more. Also of note is his work on A Game of Thrones: Hand of the King, with characters based on a series of illustrations made as fan art made before the tv series. The North Sea trilogy and expansions, all designed by Shem Phillips demonstrate The Mico’s whimsical take on the dynamic and dangerous world of viking warriors and the society that gave rise to them. So, here were our top pics for most beautiful games. Which games would you put on your list? Spread the word and tell the world – maybe those games will get some new fans!